Unicode announced its list of new emoji for 2018, and thanks to Emojipedia, we’re getting an idea of how they may shape up when released by the various OEMs who create their own interpretations. The highlights from the new list include a llama, toolbox, salt shaker, lobster, skateboard, pawn, pirate flag, plus plenty more. Emojipedia was kind enough to create a video, highlighting the entire library of new emoji that we’ve embedded below. 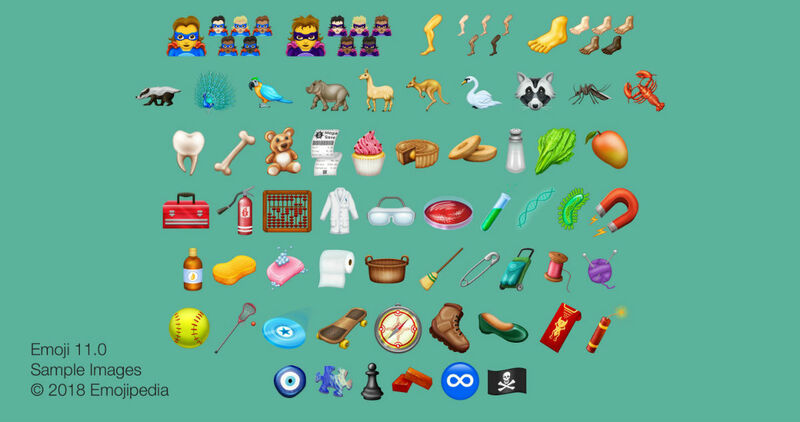 What new emoji has you hyped? For me, it’s gotta be the emotional support peacock.